AT THE start of America’s drive toward democracy, many thought about representation and how to give power to the people. Surprisingly few thought about the vote. On June 11, 1776, Philadelphia pulsed with revolution. In quick succession the Continental Congress appointed three committees to prepare for the expected final break with Great Britain. One panel would explore foreign alliances; another would set terms for a confederation of the newly independent states; and the Committee of Five would write the Declaration of Independence. As that document grew in importance over the years, its authors described how it was drafted. The story got better with each retelling. John Adams claimed he had chosen the thirty-three-year-old Thomas Jefferson, just as he had tapped George Washington to lead the Continental Army. “You should do it,” he remembered insisting. Years later Jefferson would serenely deny such a conversation, claiming it was clear all along that he would write the Declaration. In any case, that Jefferson’s hand held the quill would have echoing consequences. Adams, after all, was a fussily conservative thinker, fearful of what he called the “leveling” tendencies of democracy. The Virginian did more than draft a bill of complaints against the British Crown. His draft began with a statement of principle that became an enduring American creed. The “consent of the governed”—consent that must be won from “all men,” “created equal.” It was an idea both revolutionary and “intended to be an expression of the American mind,” as Jefferson put it. This ideal was far from reality at the time it was pronounced in 1776. Young America was anything but a democracy. But the fight to give life to those words was under way, even as Jefferson wrote. That creed would rebuke civic inequality from the beginning. Abolitionists declaimed the preamble in mass meetings in the 1830s. The first women’s rights convention, at Seneca Falls, New York, traced its language. Abraham Lincoln, decrying the spread of slavery in 1854, called that passage “the sheet anchor of American republicanism.” He paraphrased it at Gettysburg. Franklin Roosevelt borrowed it to decry “economic royalists” during the Depression. Dr. Martin Luther King Jr. cited it as “the true meaning of [our] creed.” Mostly these later Americans focused on its articulation of equality. Less clear, and the basis of two centuries of battle, is the connection between equal citizenship and a government that relies on and is responsible to the people. The power of that idea would impel a movement toward democracy that would take two centuries. At the time of the Revolution, America was a traditional, stratified society. A small cluster of wealthy men led the revolt: plantation owners like Washington, attorneys like Adams, and merchants like John Hancock. Americans paid deference. The sense of social hierarchy—and the idea that political power should flow from that rank—was palpable. The colonists inherited political ideas lauding Great Britain’s “balanced” system. That approach split power between the king (“the one”), the nobles (“the few,” found in the House of Lords), and the people (“the many,” represented in the House of Commons). Such a system of checks, balances, and limits would protect liberty—the right, above all else, to be left alone by a potentially tyrannical government. In England representation was visibly uneven in the eighteenth century. “Rotten boroughs” in the countryside elected members of Parliament from just one family’s estate. Old Sarum, a verdant but unpopulated mound in rural Salisbury, sent two men to Parliament. In effect some buildings had the right to vote, but not all people. Meanwhile the new industrial cities Manchester and Birmingham went without direct representation. The satirical painter William Hogarth parodied the state of British elections. Colorful images of bribery, drunkenness, and lechery—and a mayor passed out from eating too many oysters—spill across the canvas. When the colonial agitators and pamphleteers of 1776 spoke of “consent of the governed,” they echoed the language of the British philosopher John Locke and his notion of the social contract: the idea that rulers and people must forge an agreement for government to be legitimate and that the people had the right to overthrow an unjust state. The colonists weren’t thinking about turning out incumbent officeholders, as we might today, but the much more disruptive task of overthrowing a regime. At first these arguments mostly referred not to individuals and the government but to the colonies and the mother country. Conflict first flared over the Stamp Act of 1765. The British had insisted that the colonists be satisfied with “virtual” representation in Parliament, just as most Englishmen were. Now the American colonists demanded direct representation in the halls of power. Repeated calls for representation and equal rights—calls directed by colonial Whig leaders toward England—in turn led some within the colonies to ask uncomfortable questions. Religious minorities such as Baptists and Catholics, debtors, and backwoods farmers began to direct similar demands at the governments closer to home. Yet this debate about representation, these first forays toward the ideas of democracy, rarely revolved around voting itself. In the colonies as in England, only white men with a defined amount of property could vote. The restriction dated to the Middle Ages. A British law enacted in 1430 limited voting to only those with a freehold estate producing an annual income of 40 shillings—enough to “furnish all the necessaries of life, and render the freeholder, if he pleased, an independent man.” Colonists solemnly rehashed the arguments for voting limits: only men with a stake in society could be trusted with the franchise. Not just African slaves but indentured servants, tenant farmers, women, children, indebted artisans—many found themselves dependent on someone else. William Blackstone was an English jurist whose influential lectures landed in Boston and Philadelphia bookstores just a few years before the Revolution. The property limit on voting, Blackstone explained, seeks “to exclude such persons as are in so mean a situation that they are esteemed to have no will of their own.” Poor people would be “tempted to dispose” of their votes—literally, to sell them. “This would give a great, an artful, or a wealthy man, a larger share in elections than is consistent with general liberty.” Excluding the poor, he insisted, would actually foster greater equality among the remaining voters. His arguments echo in later claims that the poor are duped, easily induced to fraud, somehow shady—and the assertion that blocking their vote would actually help them. Even then this must have seemed something of a stretch. Palpable fears lingered not far below the surface. Give everyone a vote, and who knows what they will vote for? Just how limited was the right to vote at the time of the American Revolution? Historians can’t quite agree. The thirteen colonies were independent of one another and had varying rules. Seven restricted voting to men who owned land with specific acreage or value, others to those with specific amounts of personal property. One summary suggests that “by and large the property clauses prohibited at least a quarter—and in some states possibly as many of half—of the white male adults from voting for representatives to their state legislatures.” In newly settled areas inland, cheap land meant wider ownership. There as many as 80 percent of white men could vote. But in established areas and cities that hugged the Atlantic coastline only 40 percent of white men could cast ballots. One historian claimed colonial Massachusetts was a “middle class democracy.” Yet women were prohibited from voting almost everywhere; in most colonies so were Catholics and free black men. And of course neither slaves nor Indians could vote. Of the 3 million people who lived in the thirteen colonies, only a fraction could cast ballots. In any event, before the Revolution voting did not matter much. Royal appointees made the big decisions about taxes, appointments, and whether to take military action. Legislatures were a check on distant executive power, not the source of legitimate public authority. The sovereign was, well, sovereign. Elections were infrequent. In a brief ritualized moment of equality, members of the gentry would stoop to mingle with the public and seek support. Crowds would gather, eager to see the candidates and their families arrive by fancy coach. Office seekers would host fêtes for voters, with ample hard cider and food. Colonists called it “treating.” When young George Washington ran for office in Virginia in 1755, Daniel Okrent writes, “he attributed his defeat to his failure to provide enough alcohol for the voters. When he tried again two years later, Washington floated into office partly on the 144 gallons of rum, punch, hard cider and beer his election agent handed out—roughly half a gallon for every vote he received.” He gently chided his campaign agent, “My only fear is that you spent with too sparing a hand.” Politicians called it “swilling the planters with bumbo.” Another, younger Virginia office seeker was more fastidious. James Madison disdained “personal solicitation” of voters and “the corrupting influence of spirituous liquors, and other treats.” Madison lost. Voting was generally done viva voce (by voice). Sometimes it was done “by view,” with supporters lining up to stand behind candidates. Enthusiasts with clubs would drive off their opponents’ backers. Paying for votes was so common in one small colony, it became known as “Rhode Islandism.” Polling places across the colonies were scattered, sometimes a full day’s ride from where voters lived. Elections were marred by bribery and intimidation. As a result few people voted, even when they had the right to do so. In a Connecticut gubernatorial election after Independence, only 5 percent of eligible voters turned out. One clergyman bemoaned the apathy. The “multitude,” he complained, “will not leave the plow to have a governor of their taste.” Of course poor people might be enraged or engaged for a brief time by a public issue. If they could not vote, they could engage in “mobbing”—burning an official in effigy, say, or enthusiastically rioting. The roughnecks organized by Sam Adams in his protests against British policy—throwing stones as they whooped “Liberty and Property!”—were making their voices heard (loudly) in a manner quite familiar to their countrymen. That was America on the eve of the Revolution. A world of deference and disinterest, where a few great families were presumed to govern. In The Radicalism of the American Revolution, the historian Gordon S. Wood traces what happened next, how the ideas held by the colonists began to shift—rapidly, vertiginously. They thought they could replace monarchy with a republic, in which a few dispassionate men would hold power. Virtue would govern. They erected a new edifice of government that would enable those men to sift through society’s competing demands. The Constitution, with its checks and balances, its tentative nods to democracy and its multiple veto points, embodied their theories. The founders discovered they had set loose political and intellectual energies that quickly overwhelmed those dreams and ideas. Across the colonies revolutionaries quickly fell to writing new constitutions to replace the royal charters. New Hampshire had already created a republic after its aristocratic royal governor escaped. Soon it enacted a law giving the vote to any man who paid taxes. It was, writes historian Marchette Chute, “the first sign that the crust which had formed in America on the subject of the franchise could crack under the pressure of war.” South Carolina too had already declared its independence. There only large landowners were allowed to sit in its legislature, and they kept intact the colonial rule that only white men who owned an ample amount of property could vote. In the newly independent states up and down the seaboard, with few models, Americans moved toward a more accountable form of government. The legislature was key, especially the lower house. John Adams wrote a treatise to share with fellow congressmen, many of whom were hurrying home to write their state charters: “The principal difficulty lies, and the greatest care should be employed, in constituting this Representative Assembly. It should be in miniature, an exact portrait of the people at large. It should think, feel, reason, and act like them.” That required “equal representation,” he insisted. “Great care should be taken to effect this, and to prevent unfair, partial, and corrupt elections.” The legislature was balanced with an upper house, often apportioned by county rather than based on population size. These state senates represented property—not so much to enshrine wealth as to assure that elites could tamp down the excesses of democracy. Elections now were frequent. Whigs—the political party in England that challenged the Crown—held to a basic political maxim: “Where ANNUAL ELECTION ends, TYRANNY begins.” Every state except South Carolina now elected members to the state legislature every year. For the first time power came from the people—some broad group of them, at least—and the most important lawmaking body was the legislature. Gordon Wood explains that to the colonists, the role of the legislature was a startling change, the thing “that made the new governments in 1776 seem to be so much like democracies.” And these legislatures were chosen by voters. America’s new states considered themselves separate, independent countries. Of course they each set their own voting rules. That fact of late eighteenth-century life has significant consequences today. Most states kept or only slightly eased colonial-era property limits on suffrage. One Virginia constitution writer reported, “It was not recollected that a hint was uttered in contravention of this principle.” Jefferson had scratched out a proposed draft constitution for the state that significantly expanded suffrage. It arrived after the delegates were already done drafting and was ignored. John Jay led the writing of New York’s constitution, in a small upstate town since the British occupied Manhattan. Jay believed that “the mass of men are neither wise nor good.” (His son later recalled that it was “a favorite maxim with Mr. Jay, that those who own the country ought to govern it.”) New York actually curbed voting rights, imposing the property requirement for the first time on residents of New York City and Albany. But as war cascaded and Americans mobilized, a new strain of radicalism pressed for a wider democracy and demanded expanded voting rights. With mounting pressure several states went further, changing the basic rules for voting. Georgia and North Carolina eliminated property requirements. Vermont, a new state that had broken away from New York and had not yet joined the union, wrote its first constitution without a property requirement, so long as residents displayed “quiet and peaceable behavior.” Men who had served in the militia and the Continental Army led the fight there, most visibly the Irish immigrant Matty Lyon, a former indentured servant who would later be elected to the U.S. Congress. And those working-class militiamen who mustered in the very town where Jefferson was writing the Declaration helped produce the most radical of all state constitutions. Philadelphia bustled as the British Empire’s second busiest port. Its streets teemed with sailors, indentured servants, shopkeepers, slaves, printers, and mechanics. A few dozen wealthy Quaker families dominated, but the colony welcomed every ethnic group and religion. Old and new worlds clashed: the same year the Continental Congress first met there, a crowd killed a woman it suspected of being a witch. Yet there were lending libraries, scientific societies, bookstores, and coffeehouses filled with debaters. In many other colonies Whig elites quietly switched sides, decorously shedding loyalty to the Crown. Not in Pennsylvania. In vibrant Philadelphia, the Revolution was recognizably revolutionary. Pennsylvania’s insurrection boiled over on a rainy day in May. The existing state assembly had instructed its delegates to the Continental Congress to oppose independence, but Congress’s plea for “suppressing” royal government checked that move. A seething crowd of four thousand gathered outside the statehouse in an open meeting to cheer Congress’s call and to demand a new constitution. Authority dissolved; the assembly was rendered irrelevant. Committees of Correspondence and “associators” across Pennsylvania chose delegates to a new state constitutional convention. It first met in June at Carpenters’ Hall. At the same time, a new provincial legislature formed, meeting down the hall from the Second Continental Congress in the statehouse. Three separate revolutionary conclaves worked within a few blocks of each other, with overlapping membership. The lurking presence of the nation’s most energetic agitators turned up the heat even higher. Sam Adams, fresh from instigating rebellion in Boston, served as a delegate to the Continental Congress but quietly worked with the local patriots to upend their government. The Pennsylvania constitution of 1776 was at the time the world’s most democratic such document. “Every freeman of the full age of twenty-one Years,” it declared, “shall enjoy the right of an elector,” so long as he paid taxes. (The very poor still could not vote.) Pennsylvania would have only one legislative house, elected annually. The position of governor was eliminated; instead a committee exercised executive power. In a touch that uncomfortably prefigured twentieth-century revolutionary fanaticism, only those who swore an oath to the constitution could vote. For a time the drafters even toyed with limiting the size of personal wealth. It gave little fealty to the idea of checks and balances; popular sovereignty, accountability to the common people, would be enough. By 1787 nearly 88 percent of Pennsylvania’s adult white men could vote. Today a man owns a jackass worth fifty dollars and he is entitled to vote; but before the next election the jackass dies. The man in the mean time has become more experienced, his knowledge of the principles of government, and his acquaintance with mankind, are more extensive, and he is therefore better qualified to make a proper selection of rulers—but the jackass is dead and the man cannot vote. Now gentlemen, pray inform me, in whom is the right of suffrage? In the man or in the jackass? Conservatives tried to overturn the 1776 constitution three times. They wanted to create an upper chamber of property owners, to allow British sympathizers to vote, and to have a single man serve as governor. Franklin responded to one such effort, just months before he died, pronouncing himself opposed to any system that gave “the rich a predominancy in government.” Meeting in the City Tavern, merchants and their allies mapped a grassroots campaign to elect legislators who would rewrite the charter. Ironically they found popular mobilization the key to undermining the populist constitution. Finally, in 1790 they succeeded. Pennsylvania joined the other states in creating a bicameral legislature, an elected governor, and an independent judiciary. Even so they did not dare repeal broad voting rights. John Adams was aghast at the radicalism of Franklin’s Pennsylvania constitution. He called Paine a “Disastrous Meteor.” The mutual disdain between Adams and Franklin, the prig and the worldly epicurean, is one of the more engrossing subplots of the Revolution. Adams was enormously jealous of Franklin’s renown. Later he would complain, “The history of our Revolution will be one continued lie from one end to the other. The essence of the whole will be that Dr. Franklin’s electrical rod, smote the Earth and out sprung General Washington. That Franklin electrified him with his rod—and thence forward these two conducted all the policy negotiations legislation and war.” Franklin returned the sentiment. “He means well for his country,” he wrote of Adams, “is always an honest man, often a wise one, but sometimes and in some things absolutely out of his senses.” Here the rivalry played out as a clash of political philosophy. Adams wrote a proposal for a new Massachusetts constitution. Ironically all men could vote in the election to choose delegates to write the state charter, but the resulting document actually narrowed suffrage, tightening property requirements from what they had been under the British. Critics assailed the proposed charter. The town of Northampton warned that “many persons” would be disenfranchised. According to one clergyman, writing in a Boston newspaper, the exclusion of blacks, Indians, and “mulattos” from the franchise showed white men “meant their own rights only, and not those of mankind, in their cry for liberty.” Citizens rejected the Massachusetts constitution the first time they voted. It won ratification on a second round, but only because of presumed widespread voter fraud in the western part of the state. An idea in motion, to paraphrase Isaac Newton, tends to stay in motion. The logic of the revolutionaries’ argument—“the consent of the governed”—in part created pressure for a wider franchise. Americans understood, even then, that the ideals of the Declaration formed a standard by which practices would be measured and found wanting. Women began to object that they were denied the vote. A famous exchange between Abigail Adams and her husband, John, during the break with Britain wittily explained the momentum. 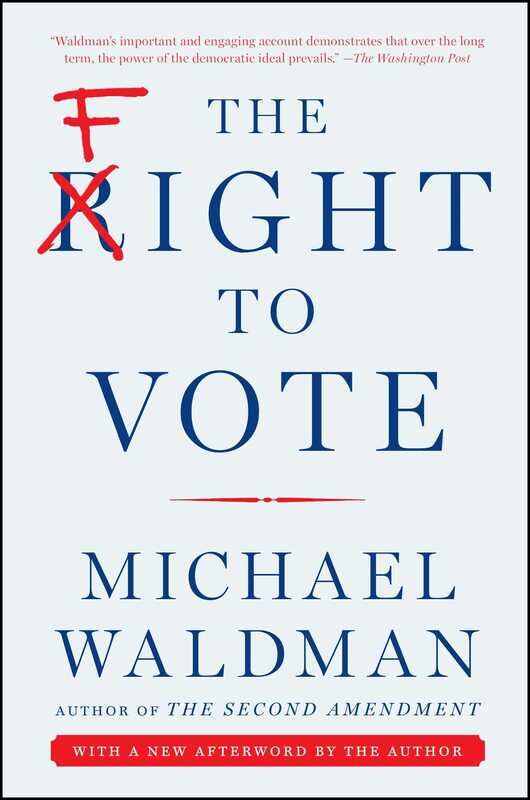 Michael Waldman is president of the Brennan Center for Justice at NYU School of Law, a nonpartisan law and policy institute that focuses on improving the systems of democracy and justice. He was director of speechwriting for President Bill Clinton from 1995 to 1999 and is the author of The Fight to Vote, My Fellow Americans, POTUS Speaks, and three other books. 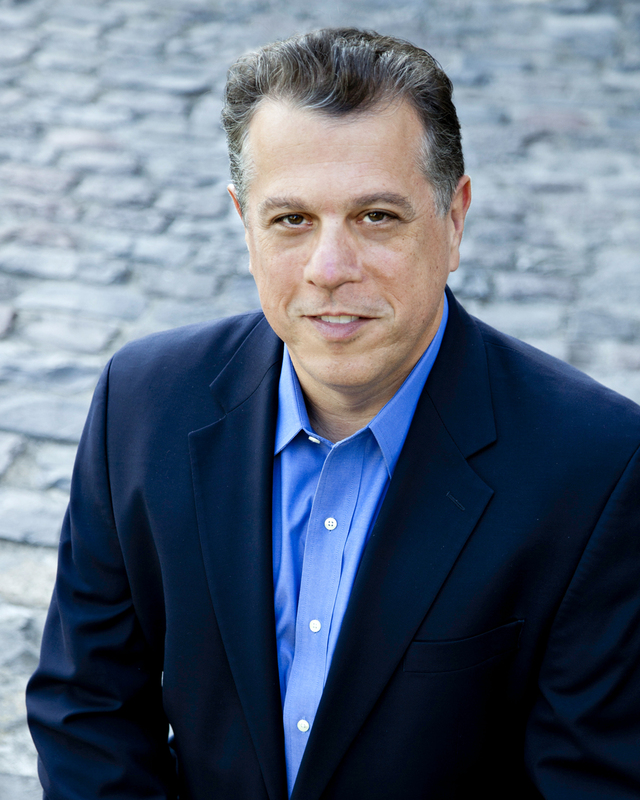 Waldman is a graduate of Columbia College and NYU School of Law. He comments widely in the media on law and policy.